Managing Director and head of research, Tom has been involved in capacitive and electric field sensor and RF development for over 20 years. Neil has worked in the capacitive sensor industry for 12 years. 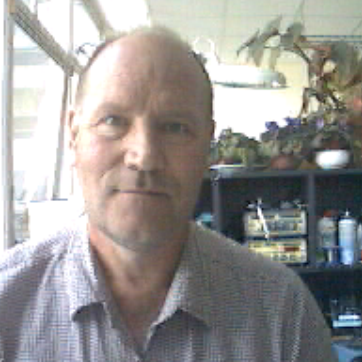 Neil is responsible for manufacturing and sensor development. He is also responsible for Quality control. Sensatech Designs Ltd (originally Sensatech) was founded by Tom Bach in 1993 and is based in Brighton UK, which has a good local skills base. We have worked with Oxford University, University of Manchester, Free University of Brussels (VUB) and local Universities, especially the University of Sussex, Brighton University and University of Southampton. In 1995 Sensatech Designs Ltd began manufacturing complete integrated consumer electronic sensing solutions for clients in the Nuclear Industry sector and in the measuring of feet for the retail shoe industry. From 1995 Sensatech Designs Ltd have sponsored the placement of MSc and PhD students at the University of Sussex and Brighton University working on dielectric measurement of materials, capacitive force cells and capacitive imaging. Since our formation in Brighton in 1993 we have been able to offer a number of diverse and specialised solutions for clients within the commercial, industrial, military and medical fields. Indeed, the majority of our work is research and development. This experience has enabled us to form a number of highly productive partnerships with universities and companies such as BNFL and Clarks Shoes. In turn the emphasis on R & D has enabled us to nurture a highly skilled workforce with years of experience and a wealth of technical expertise in the field of Capacitive Sensor Technology. The Quality Manager is the delegated Quality Representative, and has the authority and responsibility to ensure that the system is implemented and understood throughout the company. The staff are responsible for the quality of their own work and empowered to control and contribute to quality improvements.